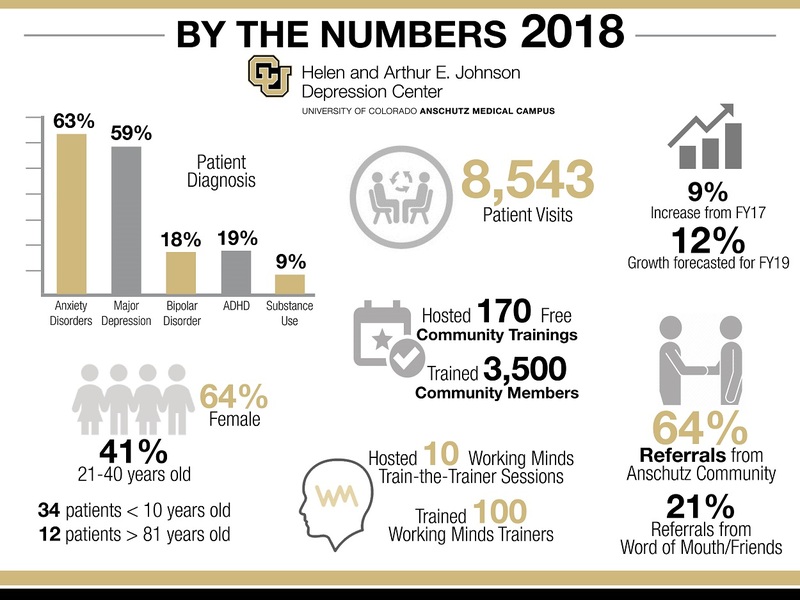 The Johnson Depression Center had quite a year in 2018. We continue to grow our impact to advance our mission: improve the lives of people with depression and mood disorders through clinical excellence, innovative research, community programs, and education. We’ve seen a nine percent increase in our services over the last year, and our services are forecasted to grow 12 percent this year. 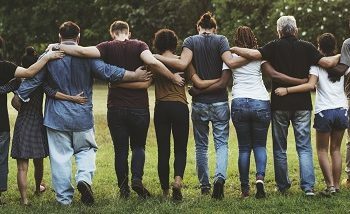 Our free community programs, 170 held last year, on subjects ranging from Mental Health 101 to QPR Suicide Prevention reached 3,500 people throughout Colorado. We are dedicated to helping patients and families by providing state-of-the-art, personalized and compassionate mental health care and we look forward to a productive year in 2019.